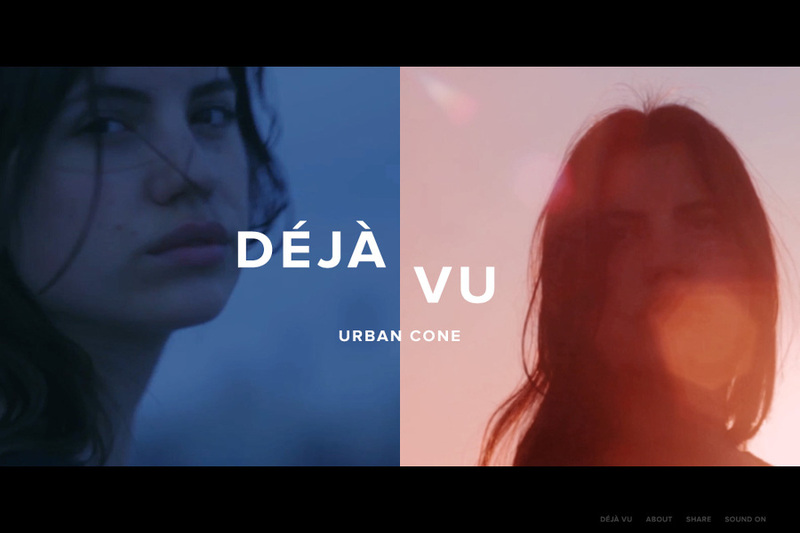 Interactive music video for Swedish indie band, Urban Cone, featuring their song, Déjà Vu. A non-linear, interactive experience that explores the passage of time and self-discovery. Users pick between two parallel storylines (videos) upon entering the site as they follow a young woman face the reality of her decisions. Edited and built to play two videos in parallel (one at a time), users can toggle back and forth between cuts anytime, discovering how the stories are interconnected. A side project between a few friends that involved a 3-day shoot and development of an interactive experience that works on desktop as well as tablet.